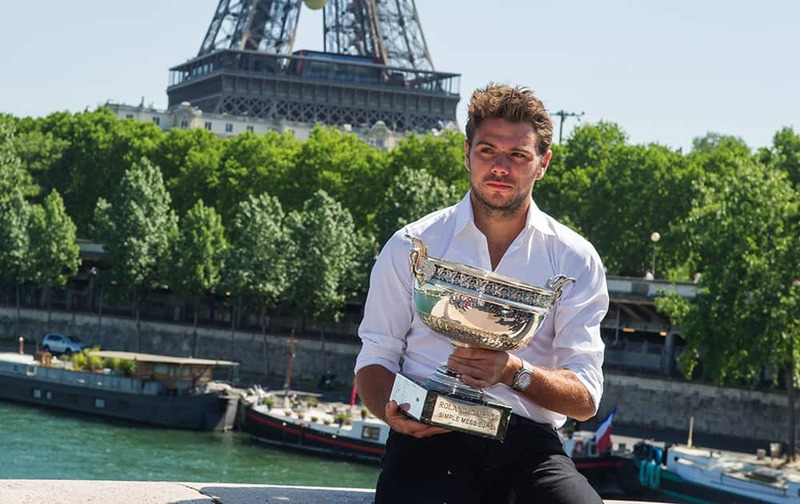 French Open Men's Singles champion Stan Wawrinka of Switzerland poses for a photo with his trophy in front of the Eiffel tower in Paris, France. 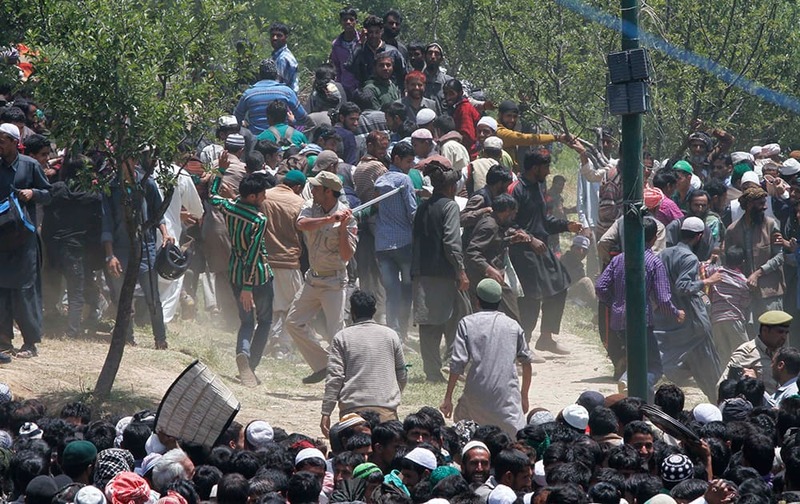 A policeman uses a baton to control the crowd during a free rice distribution as nomadic Kashmiri Muslims gather at the forest shrine of Miyan Peer, in Baba Nagri, about 44 kilometers (28 miles) northeast of Srinagar. 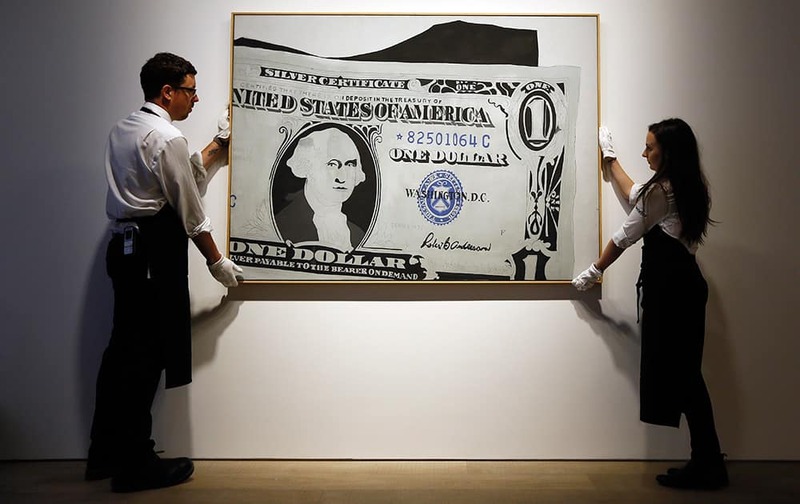 Two employees stands with an artwork by Andy Warhol called 'Silver Certificate' estimated at £13-£18 million (19.8-27.4 million US dollars) at Sotheby's auction house in London. 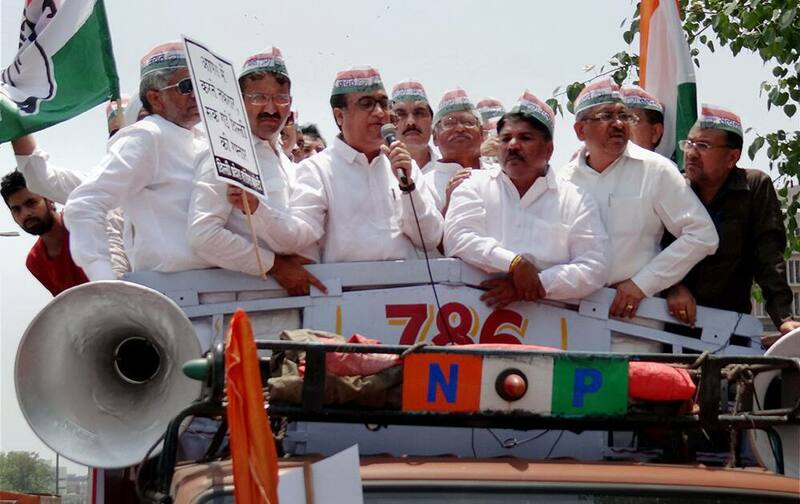 Ajay Maken addressing a protest rally in New Delhi. 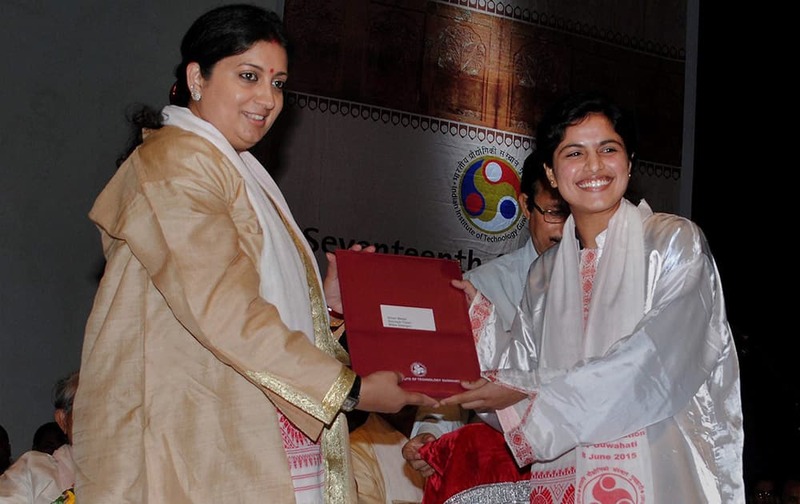 Union HRD Minister Smriti Irani presents the degree to a student during the 17th convocation of IIT - Guwahati. 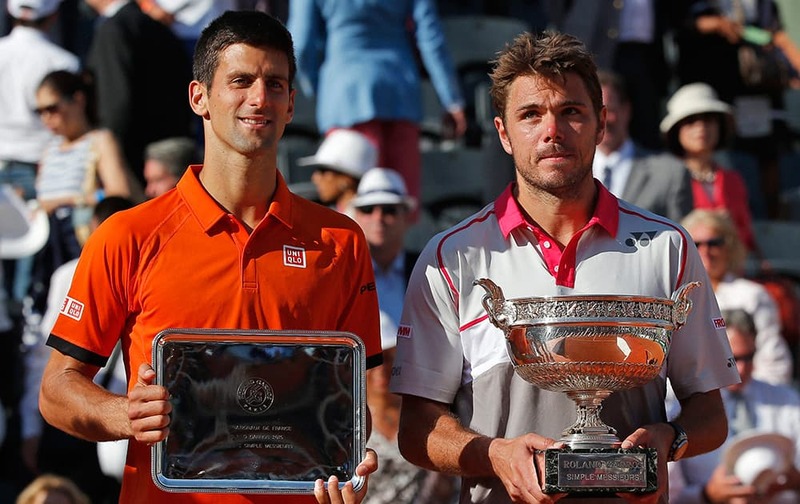 Captain Virat Kohli, Murli Vijay, Harbhajan Singh and Shikhar Dhawan arrive at the airport in Kolkata on Monday morning to leave for the Bangladesh tour. 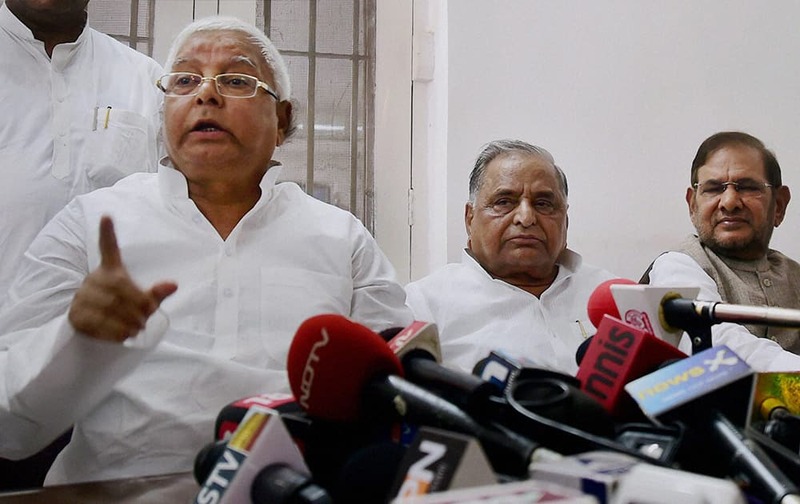 Samajwadi Party chief Mulayam Singh Yadav, RJD Chief Lalu Prasad Yadav and JD(U) President Sharad Yadav addressing a press conference regarding JD(U)-RJD alliance for Bihar elections, in New Delhi. 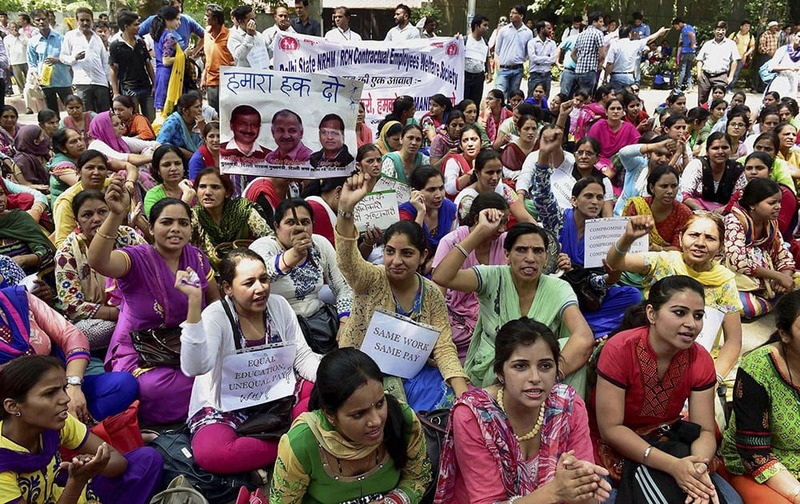 Contractual employees of health department shout slogans during their indefinite sit-in protest near Delhi Chief Minister Arvind Kejriwals residence to press for their various demands in New Delhi. 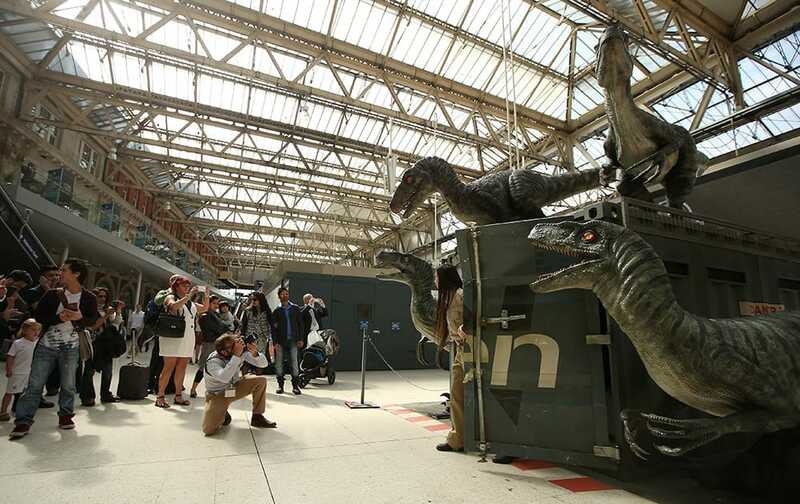 Commuters at Waterloo station stop to take photographs of the model Raptors as part of the Jurassic World Waterloo exhibition in central London. 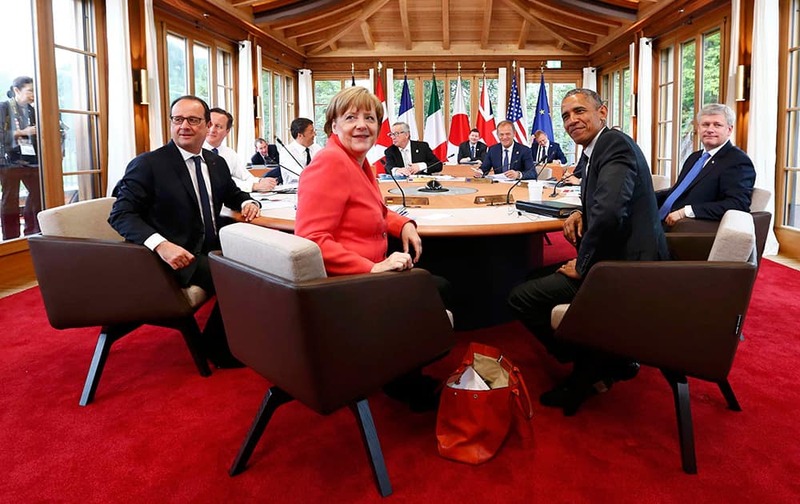 French President Francois Hollande, British Prime Minister David Cameron, Italian Prime Minister Matteo Renzi, German Chancellor Angela Merkel, European Commission President Jean-Claude Juncker, European Council President Donald Tusk, US President Barack Obama and Canadian Prime Minister Stephen Harper, from left, before a working meeting at the G-7 summit at Schloss Elmau hotel near Garmisch-Partenkirchen, southern Germany. 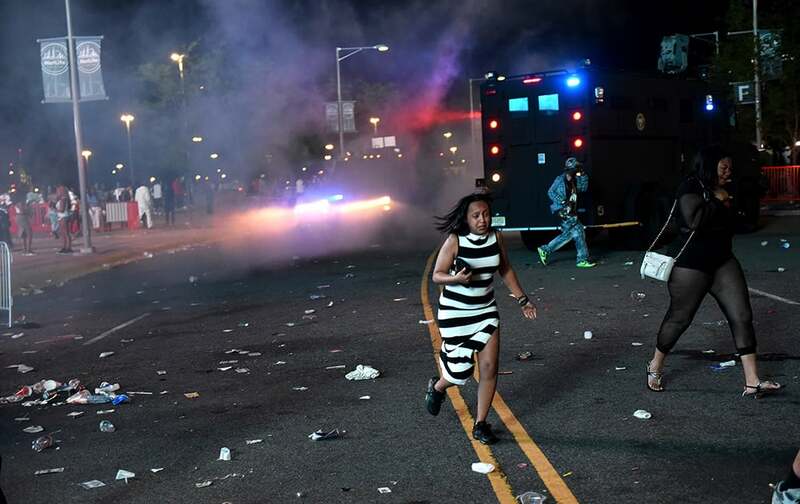 State Police respond to disturbances outside the MetLife Stadium where Summer Jam Hot 97 concert was held in East Rutherford, N.J.
Switzerlands Stan Wawrinka, right, holds the trophy after winning the mens final of the French Open tennis tournament in four sets, 4-6, 6-4, 6-3, 6-4, against Serbias Novak Djokovic, left, at the Roland Garros stadium, in Paris. 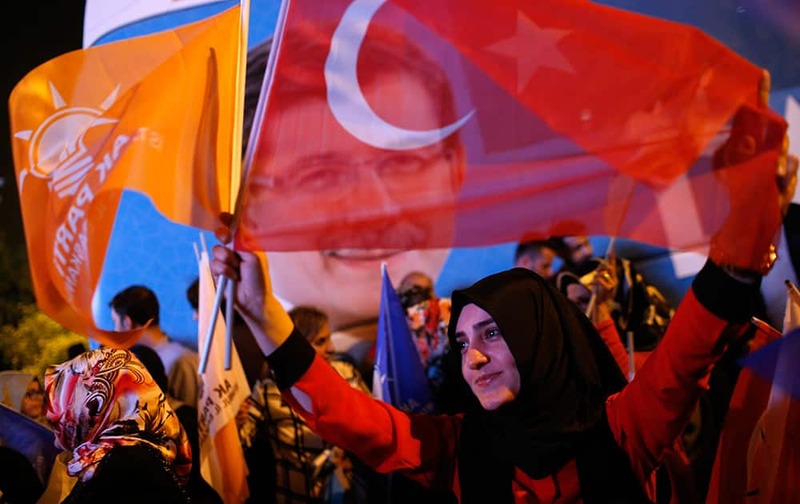 Supporters of Turkey's ruling Justice and Development Party celebrate over the election results in Istanbul,Turkey. 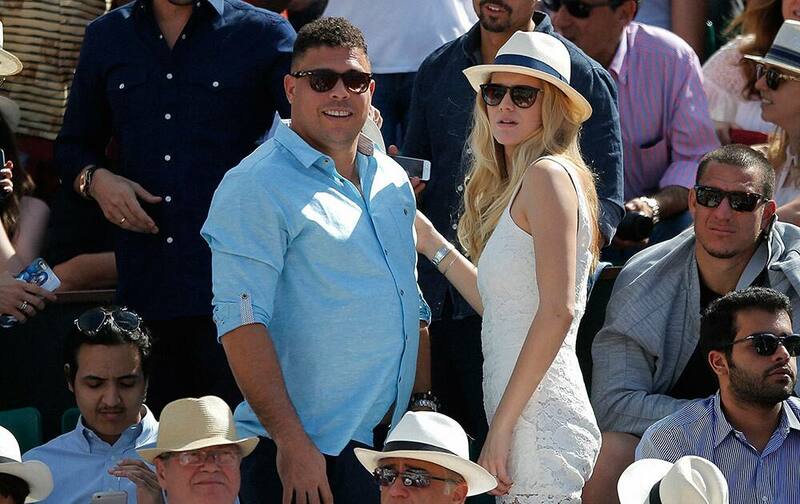 Former soccer ace Ronaldo, of Brazil, center, stands with an unidentified woman as Serbias Novak Djokovic plays Switzerlands Stan Wawrinka during their final match of the French Open tennis tournament at the Roland Garros stadium. 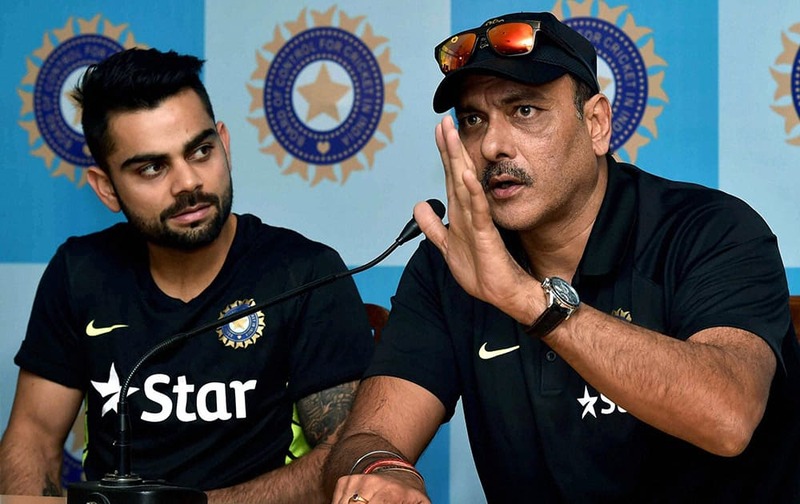 Ravi Shastri and Captain Virat Kohli interact with the media in Kolkata on Sunday ahead of their Bangladesh tour.